2014, Burnt paper. The Burn Quilt series combines the traditional aesthetics of lace and quilting with non-traditional materials. Quilts and lace are often thought of as fragile and delicate. 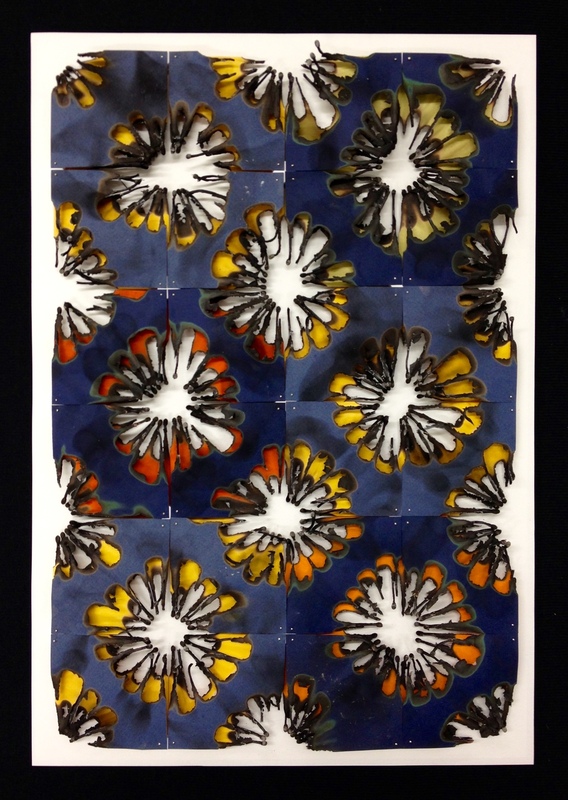 These lace quilts are made by using the violent and destructive force of flame. Fire is naturally unpredictable, unlike the tightly controlled practice of quilting and lace making. 2015, Burnt paper. The Burn Quilt series combines the traditional aesthetics of lace and quilting with non-traditional materials. Quilts and lace are often thought of as fragile and delicate. 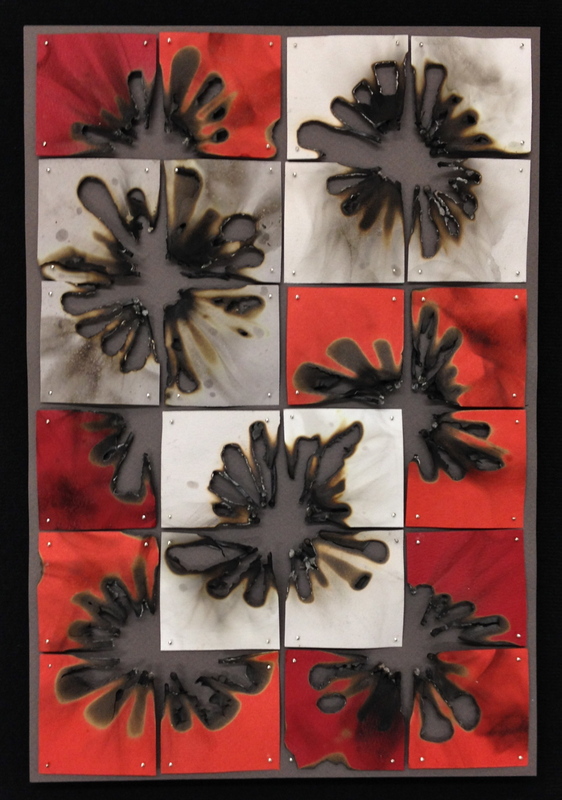 These lace quilts are made by using the violent and destructive force of flame. Fire is naturally unpredictable, unlike the tightly controlled practice of quilting and lace making. 2013, Burnt paper. The Burn Quilt series combines the traditional aesthetics of lace and quilting with non-traditional materials. Quilts and lace are often thought of as fragile and delicate. These lace quilts are made by using the violent and destructive force of flame. Fire is naturally unpredictable, unlike the tightly controlled practice of quilting and lace making.